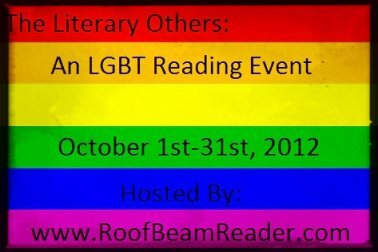 I read By Nightfall as part of The Literary Others LGBT reading event hosted by Adam at Roof Beam Reader. 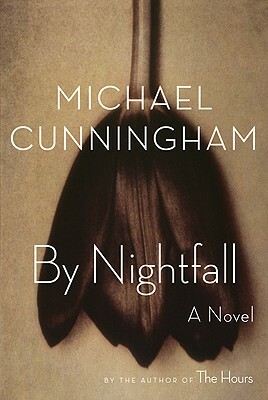 By Nightfall was listed at Over the Rainbow Books and was a finalist for gay fiction in the 23rd Annual Lambda Literary Awards. I know the dude won a Pulitzer for The Hours, and this book was smiled upon by critics as well. But By Nightfall didn't do it for this girl. I didn't hate it, but I didn't love it. The writing was agreeable. The story was fine. What I didn't like was the whiff of smarty-pants snobbery. Maybe I'm a sensitive person. Maybe I don't like a book that talks down about my area of the country. Repeatedly. In conclusion, it was an ok read. Would I read it again? Nah. I tend to like books where a person walks in and shakes things up (probably because it was such a book that got me reading adult literature) but it's unfortunate about the way your location is discussed. That sort of thing is really off-putting, and often no matter where you live. Now I'm curious which book it was that got you going! I'm sorry to hear that you were disappointed in this book. I loved, loved, loved The Hours but I haven't had a chance to read any of Cummingham's other novels yet. I don't think I will start with this one. I guess that I would ask, do you think that the snobbery was ironic in any way? Was the author actually criticizing the attitude? From what you wrote it sounds like the answer is no. If that is the case I do not blame you for being a bit put off by this book. We read this for Book Club a year ago or so. I really didn't care for it either. I don't remember why though. I just remember not really liking it. Heck, I just read it and still can't really put my finger on it. The writing was good, the story was good. So I guess my real issue is with the snobbery in it? I don't know. Just not my thing! I haven't read anything by him, but I have The Hours on my list. Guess I'll skip this one! I'm participating in the LGBT Reading Event too and just reviewed my last read. Nope. Not just you. This was part of a Book Club selection last year, and we all pretty much panned it for similar reasons. The main characters were ridiculously snobby, nothing really happened. It just didn't work on so many levels.